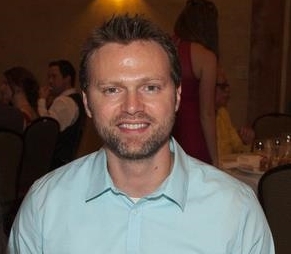 Hunter Pence, founder and lead consultant for all of Austin Technology's projects. Hunter has over 10 years of experience building technology. He started with a strong focus on software applications and web development for Fortune 500 companies and worked his way down to smaller companies so he could do business directly with the stakeholders and users of his projects. Hunter also comes from a family of Austin entrepreneurs, serving their technology needs for over a decade in fields ranging from real estate management to heating and air conditioning services. Hunter is uniquely qualified to advance Austin's small business community with his blend of technical knowledge and history of helping local entrepreneurs. Combined with his technical chops, Hunter also brings a high level of customer service. His open and frequent communications, agile development processes, and desire to understand your business allows him to deliver high quality results that satisfy even the unexpressed needs of his partners. Please see Hunter's LinkedIn profile for details about his experience.